To Walk with Lions is one of those films which leaves you feeling bad if you’re not enthusiastic about it. Directed by Carl Schultz and starring Richard Harris, Honor Blackman and Geraldine Chapman it is, like the story it sets out to tell, an admirable attempt at stirring and heartfelt drama. Also like the story the film is often grim, leaving the viewer feeling downbeat rather than inspired. Based on real-life events, To Walk with Lions follows George Adamson (Harris) who continued the work of his wife Joy (Blackman) in running a sanctuary for African lions. Adamson befriends a hotheaded young man called Tony Fitzjohn (John Michie) and takes him on to help at the sanctuary. The deepening friendship between the two men and their love for the animals is put to the test however when local poachers begin raiding the area with devastating repercussions for them all. As an African travelogue To Walk with Lions is both beautiful to look at (partly filmed on location at the Shaba National Game Reserve in Kenya), as well as fascinating in its depiction of the country’s wildlife. It is also interesting in its illustration of the work and near obsessional commitment which the real-life characters of George Adamson and his estranged wife Joy had for the African lion, as made famous through Joy’s bestselling book ‘Born Free’. However few of the people in the film – certainly not the self centred Adamson, marvellously depicted by Harris, or the hot headed and tetchy Fitzjohn, come over as particularly pleasant characters. The real problem is that the viewer ends up with little sympathy for any of the individuals none of whom you feel understood or appreciated what was being done for them. 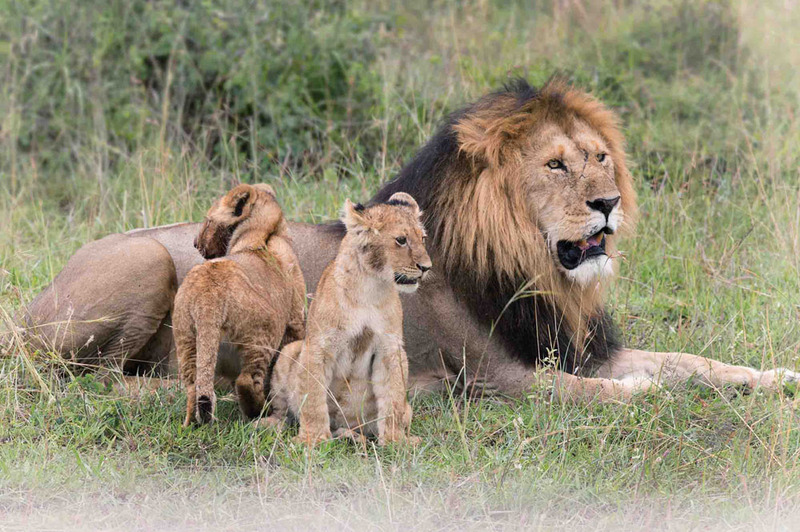 The lions and other wild animals, no matter how close Adamson and Fitzjohn got to them remained just that, wild animals, who could revert to their natural instincts without a moment’s warning with savage results. Neither did the African natives, including both the poachers and the military called in to fight them, appreciate what they saw as interference from outsiders to their country. As for Adamson – he merely comes over as a cantankerous old man, so obsessed with his vision of saving the African wildlife that he no longer sees the danger his stubbornness is putting not only himself but also his friends and family in. Ultimately this is the kind of film you feel duty bound to see through to the end once you’ve started. Which is similar to how you imagine the characters in the story themselves saw their situation, as it played out in the wilds of Africa.